We are pleased to say that a new revised and - as far as we know - fully updated version of our Machin Security Stamps Checklist is now available. This includes all the stamps newly available on 4 December, and all the variants of Walsall counter sheet printings that we know about. 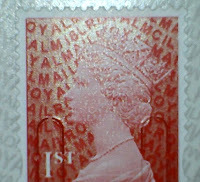 We're sorry that there has been no updated since September despite quite a number of new stamps appearing. The latest version is no longer hosted on our own server: with the coming of GDPR we have no reason to capture the email address of all the people who have requested the list. This edition, version 2.0.15, is hosted on Dropbox here. If you don't have a Dropbox account you can see the pdf file online. Depending on your operating system and browser settings you may be able to download the file to your computer. If there is no obvious way to do this, try a right-click, and you should see a pop-up which allows you to 'Save file as'. Click on this and you should be able to decide where and under what name to save the file. If you are using a mobile device and already have the Dropbox app installed, then clicking on the link will almost certainly open the app. How you proceed will depend again on operating system. On the iOs systems, the familiar 'Export' icon should appear which will allow you to save the file in the Books app, which I find very useful. NB: If you normally use a bookmark to our site to download the file, please note that this will only take you to the old versions. The newest editions are ONLY on Dropbox. If you find that you cannot download the file, please email me and I will send a copy as an email attachment, but I do not expect that there will be many problems. UPDATE: Due to the omission of one important stamp from the list, a new version of the checklist, 2.0.16 has just been uploaded. Note this does not have the version number in the file name, and future files will retain the same name to avoid overloading the folder. 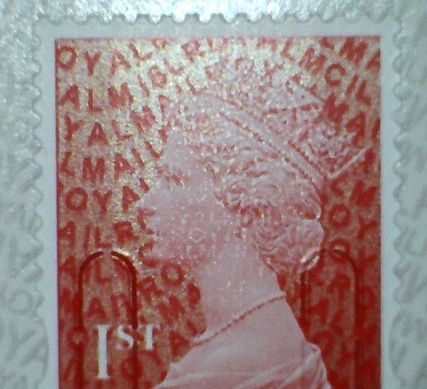 Please remember, we usually only include new printings if the stamp is different. The second printings of this year's new tariff stamps were the same as the first so are not mentioned.